The world’s ‘most difficult obstacle course’ – as the payoff of ‘Ninja Warrior’ says – finally came to his first entirely Italian TV season, broadcast by Channel 9. The show – famous throughout the world – is an ‘extreme’ sport contest where participants compete in tough tests of skill to win the ultimate prize. 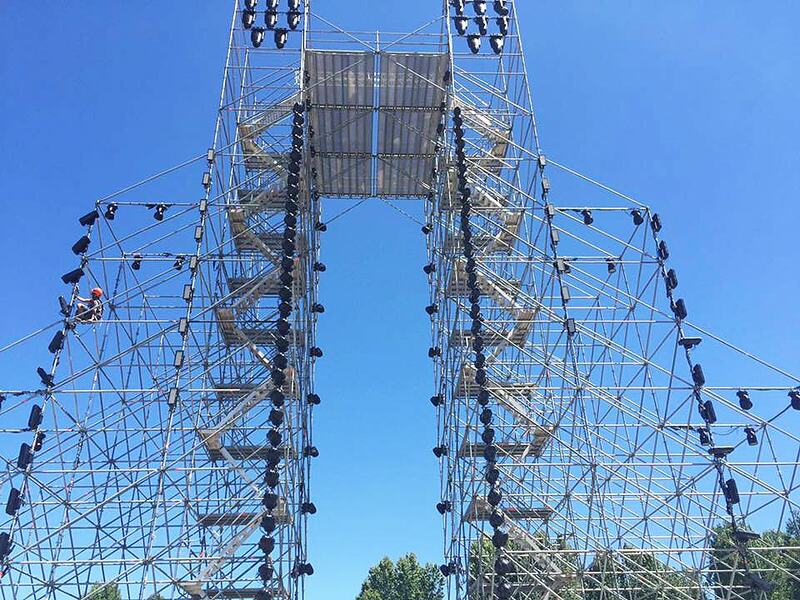 The stages of this high competitive reality show take place in a large ‘arena’ especially staged in the Hippodrome of Milan. 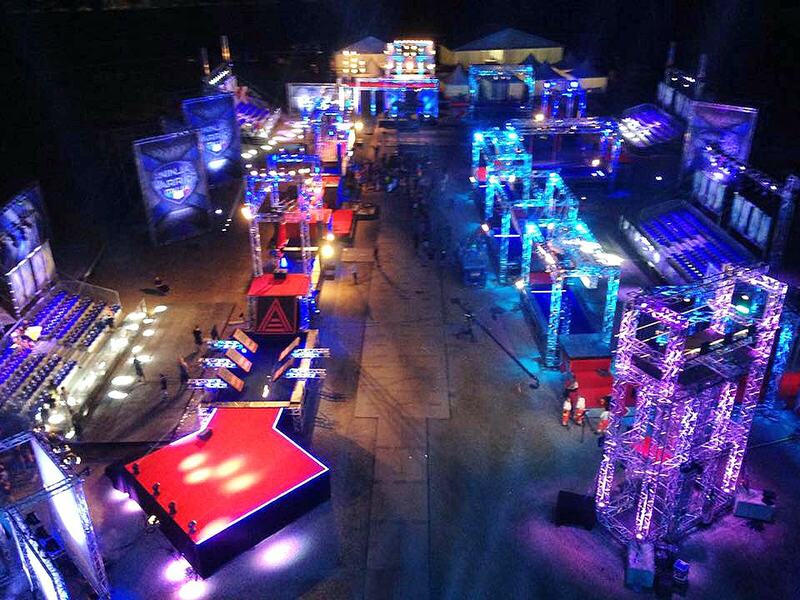 The lighting design of Ninja Warrior has a central role in the TV show, emphasizing the highlights of each race and outlining the wide spaces where the competition takes place. 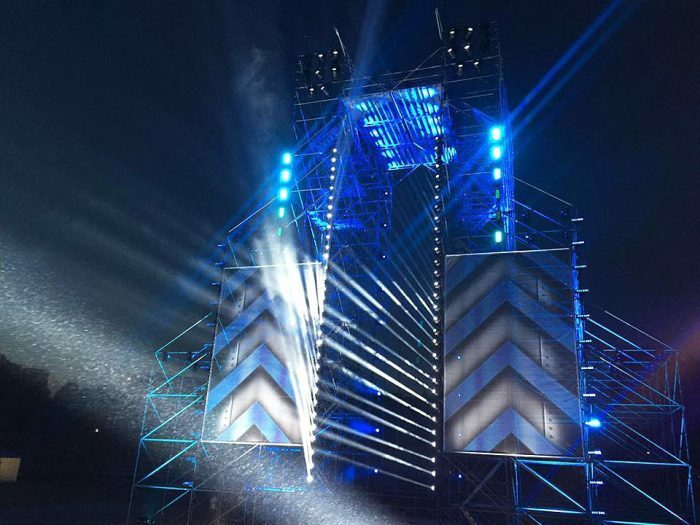 370 DTS projectors were installed by the rental company AMG International, which took care of the complex Ninja Warrior setup (1,000 lights in total). 100 NRG 1201, 70 EVO, and 70 FOS Led bars backlight the audience arranged in the stands. 130 RAPTOR are hung on the central element of the show’s setting, an imposing tower-like structure. The Direction of Photography has been entrusted to two great professionals: Marco Vignanelli and Ivan Pierri. Marco Vignanelli commented on the performance of the RAPTORs: “The beams of the RAPTORs are fundamental to highlight the tower, which is one of the areas where the competition takes place race, but it’s also an important scenic element set in the middle of the arena; an ever-present view in the television shootings, because it symbolizes the final goal of the entire competition. A special thanks to AMG International, which has been using the DTS technology for years, using more than 2,000 moving lights in major live and televised events.